Mr. Colin Taylor, The CEO and Chief Chaos Officer of The Taylor Reach Group, Inc. announced today that Colin Lavery has joined the customer experience and contact center consulting firm effective immediately. Colin has over 20 years of solid customer service experience, and brings to the Taylor Reach Group, his management experience, and in depth of experience in emergency and crisis management, business continuity, disaster recovery, training, quality assurance. Colin has deep experience in process, policies & procedures, restructured departments, improved workflow and delivering extraordinary cost savings throughout the organization. Colin attended the University of Calgary and is based in Calgary Alberta. 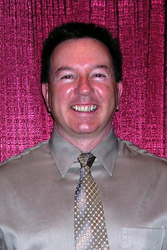 Colin will service and support, both existing and new Taylor Reach clients in western Canada. “Taylor Reach has recently signed new agreements with clients in the eCommerce, publishing, education, not-for-profit, utility sectors”, Taylor said. With three offices in North America, Australia, Europe and China, The Taylor Reach Group, Inc. (Taylor Reach) a is leading Call/Contact Center Consulting Customer Experience and Customer Service consulting firm. This award winning company founded in 2003 by Colin Taylor today boasts a stable of Fortune 1000 companies. The consulting staff at Taylor Reach each possess more than 20 years of ‘hands-on’ Call/Contact Center, Customer Experience, Customer Service and Customer Satisfaction experience in delivering effective and significant benefits from Operational Innovation.